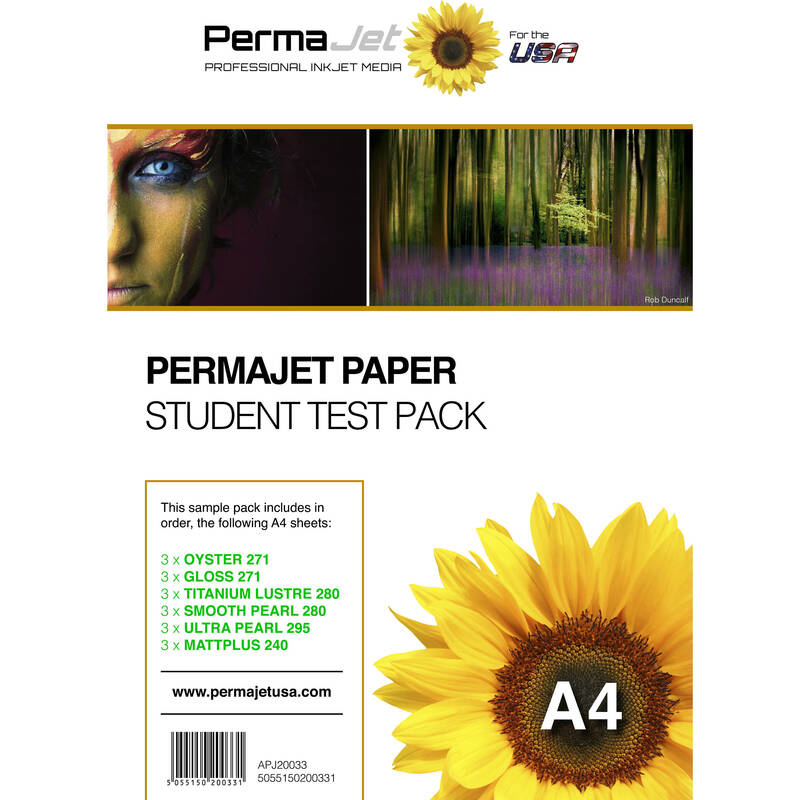 Perfect for those just learning the craft of digital photography, this A4-size Student Test Paper Pack from PermaJetUSA packs together a variety of digital photo paper types in order for new printers to learn the differences between them and pick the best option for their projects. The bundle includes three sheets of each paper type, including Oyster 271, Gloss 271, Titanium Lustre 280, Smooth Pearl 280, Ultra Pearl 295, and MattPlus 240. The variety here provides many different surfaces ranging from glossy to matte. Box Dimensions (LxWxH) 12.0 x 8.2 x 0.3"